The short film “still life” connects a drying summer creek line to Lake Clifton thrombolites, some of the earliest known life forms on the planet. This ongoing work follows my research as a resident artist with SymbioticA, on the project Adaptation based at Lake Clifton. The film engages with the relationship between human behaviour and ecology, through the observation of bioindicators in situ and possible impacts of a domestic and industrial scale. Using video editing software, I have connected digital stills and sound recordings that document changes in water quality to 14 Mile Brook. The images have been taken over a two year period, and observe bioindicators such as algae and arthropods, organisms that indicate the health or otherwise of local ecosystems. Research has followed three waterways on the farm including: 14 Mile Brook, Congelin Creek and the Upper Crossman that all join the Hotham and Murray Rivers and flow into the Peel Harvey Inlet, next to Lake Clifton. Artistically this project aims to make the personal universal by linking Lake Clifton to my home hundreds of kilometres upstream..
Catherine Higham has a multidisciplinary approach to her work and is interested in the connection between human behaviour and ecology. 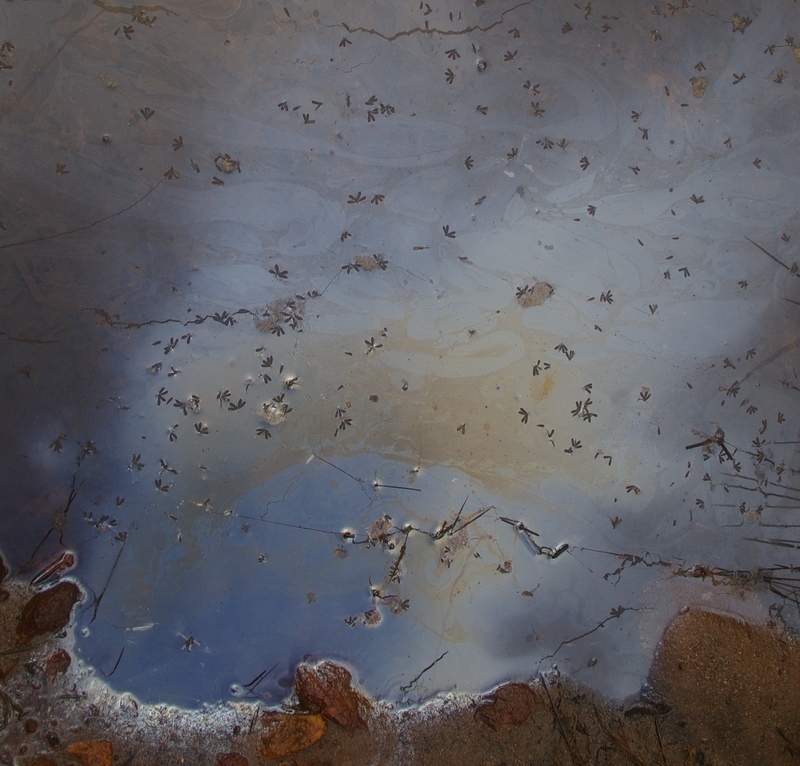 Catherine exhibits regularly and has recently returned from Ireland where she is exhibiting her film “still life” for The Science Gallery’s exhibition “Surface Tension - Future of Water”. Catherine also lectures in Visual Arts for C.Y.O’Connor Institute in Narrogin. Catherine married Williams farmer, Geoff Higham, in 1991 and has lived with him on a family farm since then.